At the Mastercard Foundation, we believe youth employment in Africa is the issue of our time. For every four young people entering the labor market, only one formal sector job is being created, leaving a large fraction, over 3 million, scrambling to find employment opportunities. Our research has shown what a challenge this can be for young people. The lack of a steady income makes it extremely difficult to move out of poverty. 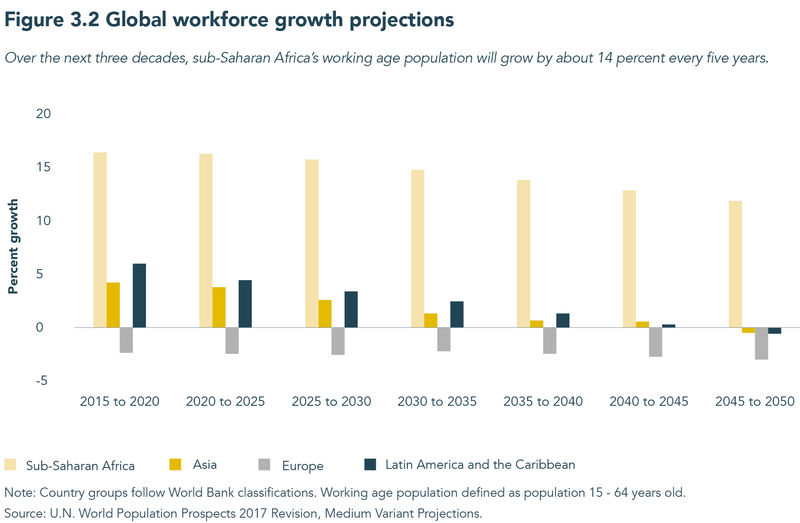 Our new strategy, Young Africa Works, has set an ambitious goal: to enable 30 million young people, especially young women, to secure work they see as dignified and fulfilling by 2030. Our strategy is based on our decade of work in financial inclusion, education, and skills development, and we believe that we can move the needle on youth employment in Africa. The scale and complexity of this challenge means that no one organization can solve it alone. 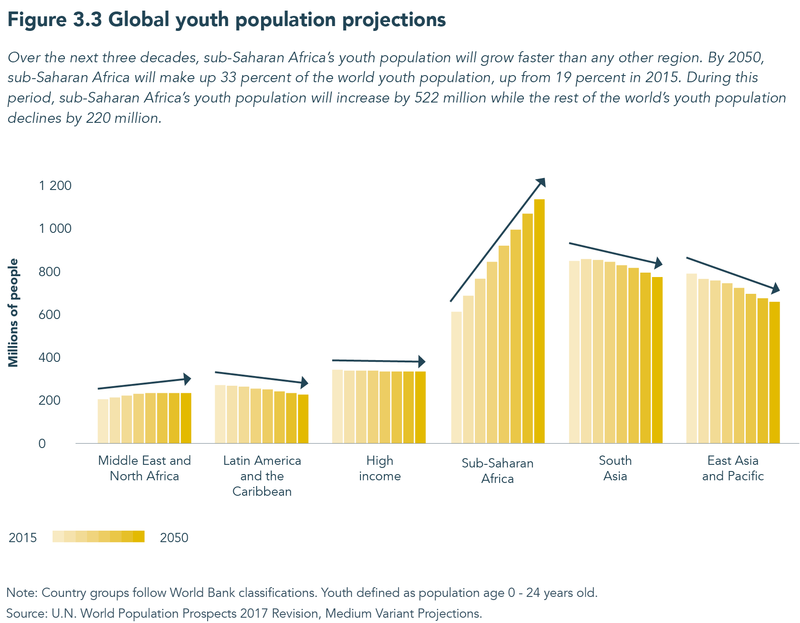 Young people need to drive the change, and we need everyone to work together to solve this problem, including governments, the private sector, and civil society. Here’s what we believe needs to be done across all sectors. Support the growing and innovative youth entrepreneurs with leadership development opportunities, finance, and links to wider markets. Include leadership, soft skills, and digital skills in training and education systems to increase the success of young job seekers. A number of our case studies highlight the importance of this work. Encourage greater links between the private sector and education and training institutions. Young people must have access to education and training that equips them with the skills employers need. Employers need to find ways to inform curriculums and support early employment opportunities as the first job often sets the path for a young person’s career. Make financing small businesses and entrepreneurs easier by eliminating risk through digitization, alternative forms of finance, guarantees, and changing perceptions. Youth entrepreneurs in some of our programs perform just as well if not better than adult entrepreneurs—but they find it much harder to find financing. Leverage technology to drive impact and scale. We have found that education, training, employment job matching, and financing can be done effectively and affordably by leveraging technology as a delivery channel. Over the next decade, we will partner with young people and dynamic organizations to change systems. How will you contribute to this change?